You can make certain Portfolio for Jira custom fields display in your Jira issues. This is very handy in providing two-way communication between both Portfolio for Jira and Jira. You can define arbitrary parent-child relationships between issues, and then show the parent link field in both Portfolio for Jira and Jira. In a Jira issue, you can see and edit the 'parent link' field in your Jira issues. You can't set a parent issue of an issue that is already at the top of the hierarchy in a Portfolio for Jira plan. if the issue is a sub-task of an issue. Epics don't show up in the parent link — you must use the epic link instead. The parent that you set has to match the hierarchy configuration. For example, when using the default hierarchy levels in Portfolio for Jira, you can't set the parent of a story to be an initiative. In this case, the parent would be an epic, not an initiative. When you assign a team to an issue in Portfolio for Jira, the team is reflected in the Jira issue as well. You can also change the assigned team in Jira, and that change is reflected in Portfolio for Jira. To see the team field in a Jira issue, you must assign a team to the issue in Portfolio for Jira. Find out more about teams here. Target start and target end dates are directly communicated to your team via Portfolio for Jira plans. 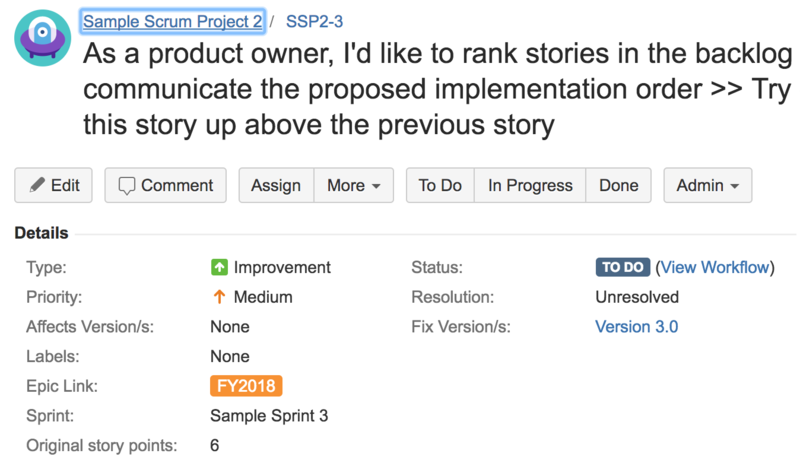 The team, however, may be updating dates of their own on Jira issues, since they work directly on these issues in Jira. By having these fields display in both Jira and Portfolio for Jira, target start and end dates will then display in Jira issues. If you're using story points as the estimation unit for your plan, you can use original story points in the scope table of your plan. You can input initial estimates for the work you're planning — these are rough estimates of the amount of work that's needed to get your projects delivered. When original story points are set, you can then use these estimates as reference, as you start breaking down and providing more detailed estimates for your work. This lets you compare the accuracy of your original estimates against your current ones. 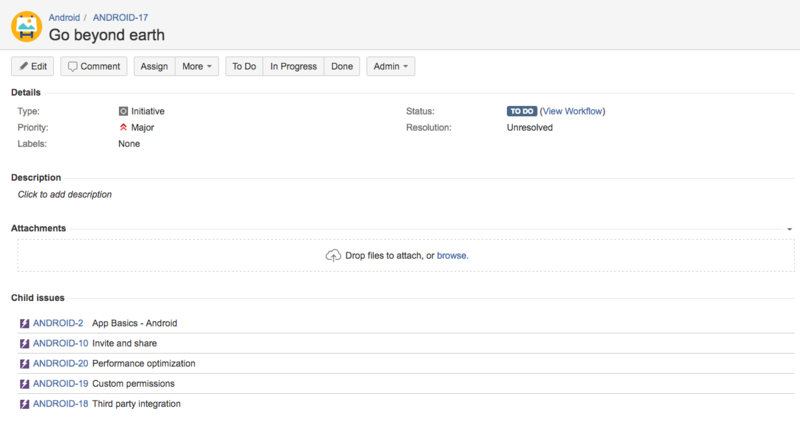 Click Custom fields, and then find the custom field you want to display in your Jira issues. Select for the custom field > Screens. Select the screens you want to add the custom field to, and click Update. Click Screens, and then find the screens that you're using in your Jira project. For each of the screens, click Configure. This will display the fields in the order that these fields are being used in the selected screen. Enter Target start for the field name, and then click Add. Enter Target end for the field name, and then click Add. If necessary, drag and drop the target start and target end fields in the order that you want these to appear in the selected screen.